Wharmby’s is one of the great underrated performances in the series. The character is pretty one-note, but that note is played to perfection each and every time. All the more remarkable when you consider that Wharmby wasn’t even an actor when he started out in the role. He is great, though. 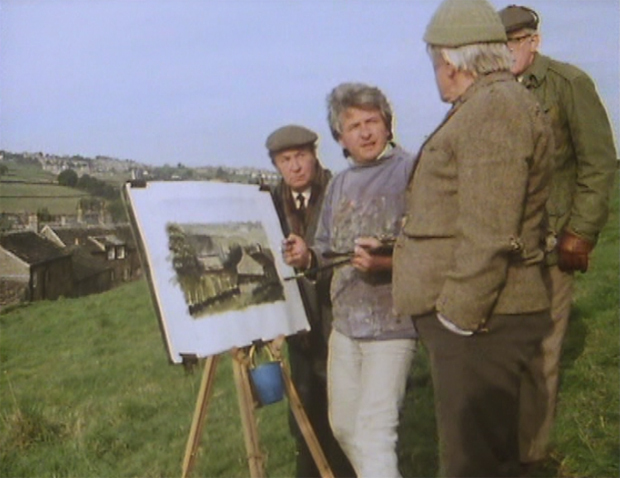 And he was definitely working as a painter and decorator before he got the Summer Wine job, which I think gives him the edge… you know full well he’s man who’d worn more than a few overalls in his everyday life. Oddly enough, I get the same feeling watching Harrison Ford… a man who’s done a proper, back-breaking job for years on end, and it kind of seeps through into their acting. I like to think I’m the first person ever to have made a direct comparison between Gordon Wharmby and Harrison Ford. Just imagine them swapping roles. Yes, Wharmby would be pretty good as pilot of Millennium Falcon. He’d certainly would be able to get it started on a cold morning. I daren’t suggest that Dame Thora would be a suitable Chewbacca though. Or could you imagine Wharmby as Indiana Jones? Adventuring around the dangerous badlands of Honley and Upperthong in a desperate search for a starter motor for a 1976 Morris Marina. Our thoughts on the series are getting weirder and weirder. Actually there are TONS of scenes where Han Solo is underneath bits of the Millennium Falcon with welding goggles on, aren’t there? 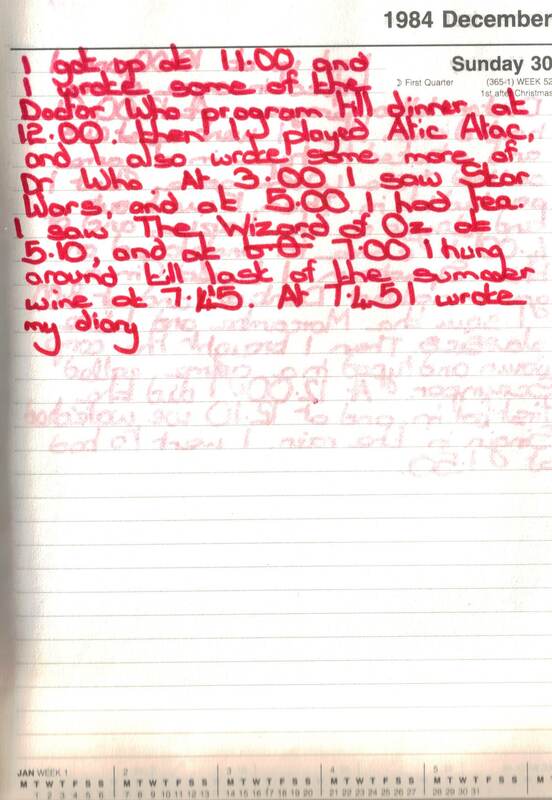 He even shouts out for Hydro-Spanners at one point! Gordon Wharmby would have breezed through the part. 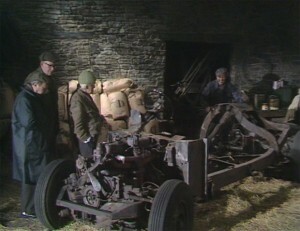 I think we’ve touched on this before, but was the character of Wesley based a bit on Fred Dibnah, do we think? It’s uncanny sometimes. Ha! Ha! Ha! Is Nora the Emperor, with Ivy being Darth Vader? Or is it the other way around? Would that mean we’d have Burt Kwock as Short Round? Go on then, let’s have some fun. Last of the Summer Wine actors who HAVE appeared in a film with Harrison Ford. I’ll start off with Don Henderson. 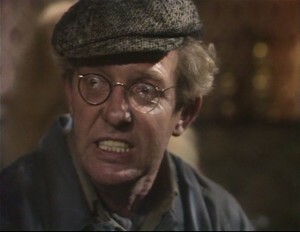 He’s in the 1988 Summer Wine episode Dancing Feet, and the first Star Wars movie. I think to me this episode is the genesis of the Last of the Summer Wine which was familiar to me growing up. There are elements which will become part of the formula of the show and the plot foreshadows the arrival of Seymour, who was my first ‘Third Man’. To be honest i had no idea that at any point i was cut from any part of this episode, I still have the script somewhere in my loft and I know i was in it. 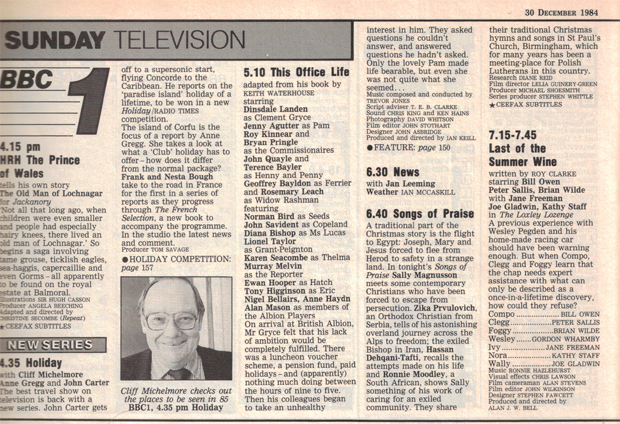 Also because of the contract I know i get paid the usual repeat fees for this episode from the BBC. I have never actually watched many of the episodes I appeared in, so its fun when people share with me some of the clips and pictures showing me as Crusher. Thanks for an interesting post Andrew and Bob. Eeek, sorry to break it to you, Jonathan! It’s a very strange thing alright, it looks like you were in every screening of this episode… apart from the very first one! Honored to be able to comment knowing that the actual Crusher may read this. As a 25yo male in the United States (and someone who you’d never expect to be a LOTSW fan) I really enjoyed Crusher. I’ve watched the series in its entirety from the pilot to the final episode. It was very sad when John Comer passed and left a gap to fill, but I think Jonathan Linsley filled the spot as his nephew brilliantly. I still watch this series late at night when it runs on AETN. Aw, good to hear Colton… and thanks for posting! We’ll be rumbling back into life with some more reviews and features very shortly. Can’t say I ever considered that, but it seems fairly plausible. I mean, Compo ended up having a son that he didn’t know about who came to town after his death (yes, I do know that Tom Owen was Bill Owen’s actual son ;P), so I guess the idea of Crusher belonging to Sid and Ivy isn’t all that far fetched. I love the final shot that the credits play over, with the trio filmed in shadow into the sun (at what looks like dusk). regarding the Crusher scene, it was a bit at the begininng of the cafe scene where he won’t let the trio + Wesley in, because they already have 6 customers (His Auntie Ivy didn’t say anything about more than 6 customers). You can see the scene here (it’s about a minute long). It’s something that’ll they’ll do more in the future, taking a regular episode and making it the Xmas special, usually broadcast first. It’ll give future continuity errors too (Entwistle appears in an Xmas special, and is then introduced in the second episode of the series that followed for example). Ashley Jackson indeed, I still say it’s moonlighting prog legend Jon Anderson! OK, to be fair, Jackson did appear on the Community channel’s walk around Holmfirth in which neither he nor the presenter mention LotSW. I first saw this on the Finest Vintage collection, so I’ve never seen a version w/o Crusher. It’s a nice literalism about “6 customers only” – I certainly sympathise with his confusion. FOGGY: Try not to sound like somebody being brutal to an orange. Foggy’s flight of fancy about the Lozenge is as convincing as Clegg’s early Ovaltiney antics, but perhaps neither is that naturalistic. FOGGY: Oh, heartiest congratulations, Wesley! WESLEY: Thanks! But I often go to the toilet..! The debut of Wesley’s Land Rover, which itself must clock up a mammoth number of appearances, albeit here another chance for Clegg’s bad driving. The big reveal is an anti-climax, and Wesley is as optimistic as Foggy in how other people can instinctively achieve his goals. NORA: I wonder sometimes if you’d ever miss me if I left? WALLY: We could give it a try! Once again, time to roll backwards out of control, and then once more with greater gusto, but a nice call-back to Jon Anders-, er, Ashley Jackson. I also love the credits with our heroes walking into the sunset, beautifully shot. Thank You very much for the missing scene! 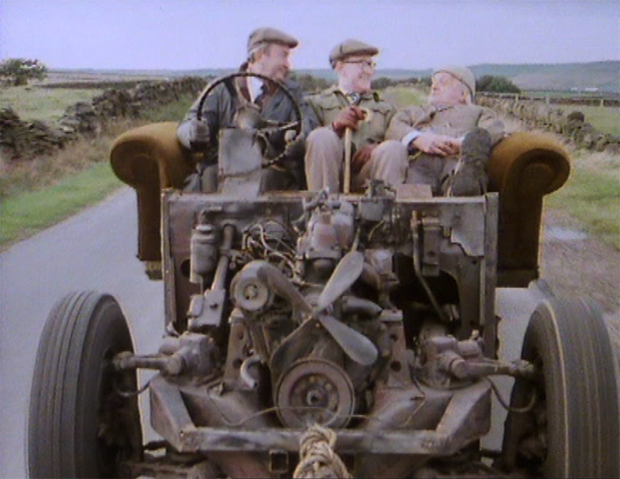 On a side note, I was a bit disappointed that no one mentioned Cleggs driving attempts in the clapped out Land Rover. It it one of the highlights of this fantastic episode.